Immediately raise your game and go as one of TV's most famous werewolves. 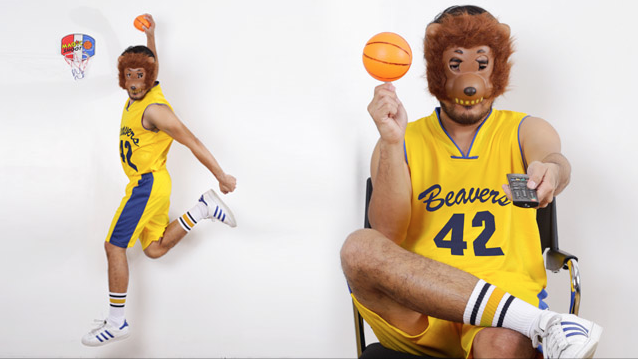 But go a step further and bring back the "pedigree" of the original '80s Teen Wolf easily with a throwback basketball uniform, high socks, and a wolf mask. Don't forget to practice your howling! 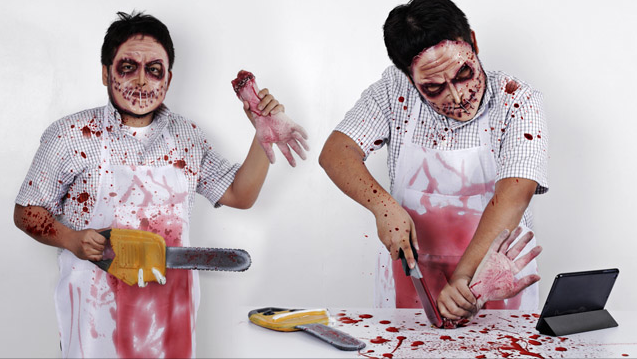 Blood-splattered apron? Check. Bloody chainsaw? Check. Dismembered appendage? Check. 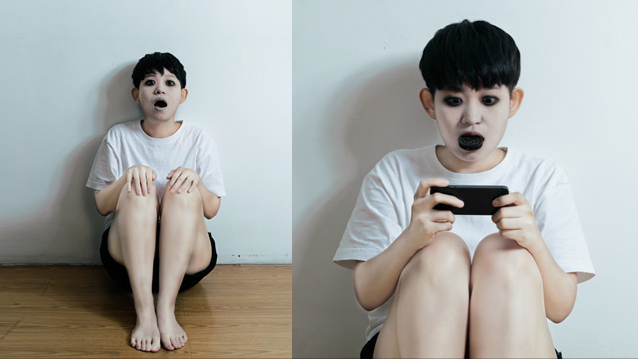 Creepy mask that looks like you're wearing another person's face? Check. These are the key ingredients to a really good Leatherface costume. Bring extra fake blood to the party to splash on people, for kicks! Though there are a ton of zombie-related flicks these days, nothing captures the horror quite like the zombies of the Resident Evil franchise. They were freaky in the hit video game, and they're even freaky-er in the movie adaptation! If you haven't seen it yet, this is one Dracula movie you have to watch! It's full of twists, turns, and big reveals, and does the Dracula character justice by flipping the script on a classic. 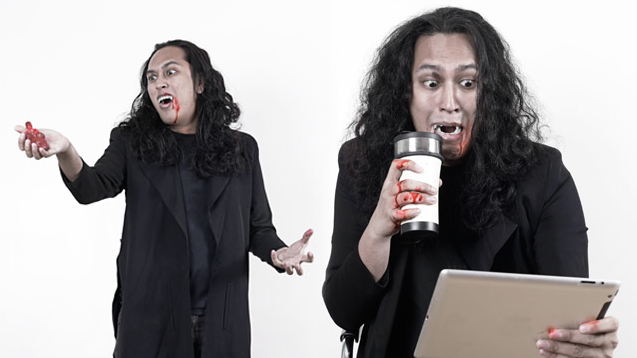 And, seriously, it is pretty fun to dress up as a vampire! Who doesn't remember The Grudge and the alabaster-skinned kid with dark rings around his eyes and who hisses like a cat? 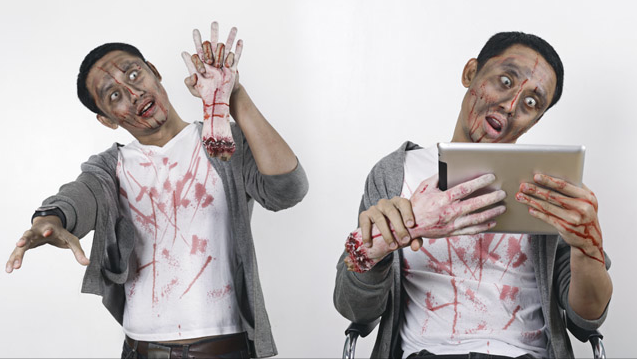 It's not hard to pull off this costume: shorts, white shirt, and a whole lot of powder should do the trick! There's something about masks that aren't particularly scary that make them frightening! Take the mask of Jigsaw: it's smiling, but it's a smile of pure evil! 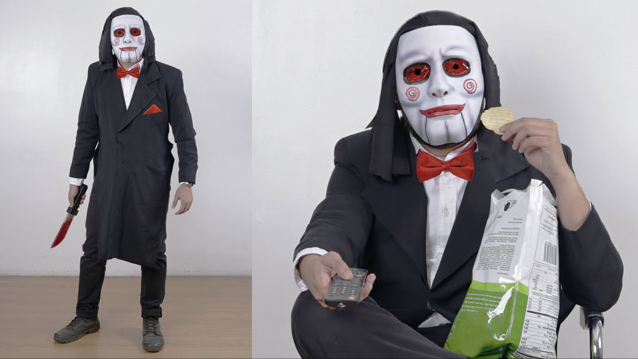 Any plain, white mask will do, and making a Jigsaw mask is sure to be a fun DIY halloween project. Now that you've got an idea of what you can go as for Halloween, have you also noticed something in the photos above? They're all watching something and, in fact, they're watching themselves! Catch all these horror flicks and more when you sign up on iflix! And once you do, a great idea for Halloween is to have a horror movie marathon—that should get everyone nice and scared! Make your Halloween viewing experience really scary by watching all your favorite horror TV shows, movies, and more on iflix. Sign up for 30-days full access. FREE! If you haven’t signed up, now’s the best time to get on it—P129/month is a small price to pay for an unforgettable scare-sesh! For more information on iflix, click here.